The French word escargot means snail. Not all species of snails are edible, but many are. If you want to prepare this dish, just don't pick up the snails that you can find your garden! It is just not the right kind and they look pretty scary. 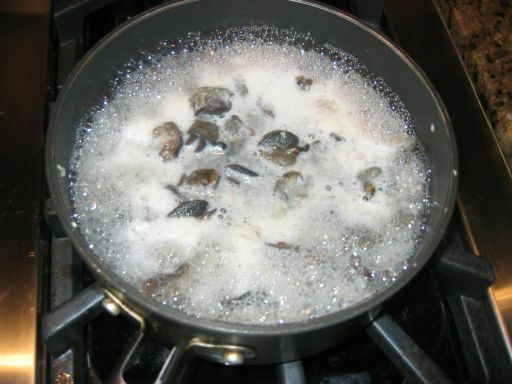 For this dish, the French usually use "petit-gris" (small-gray) type of snails. In France if you want to serve Escargot you simply go to a supermarket or market and buy them already prepared. They usually come in a little tray with 6 snails and all you need to do is to put them in the oven and they are ready to be served. No one in the right mind will buy fresh snails and prepare them. Honestly, if you do prepare them fresh, by the time you take a good look at them, slime and all, you are not likely want to eat them. 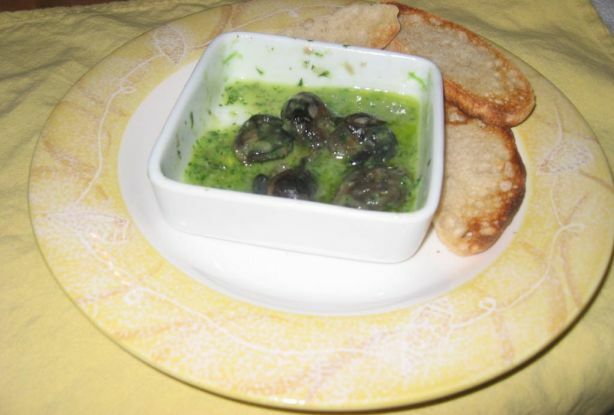 Everyone uses canned Escargots and all restaurants do too! You just have to trust me on this one. Individual portion of the Escargot de Bourgogne with toasted bread. The best way to eat this dish is to have a good loaf of bread so you can mop up this delicious parsley/garlic/butter. Family style portion . 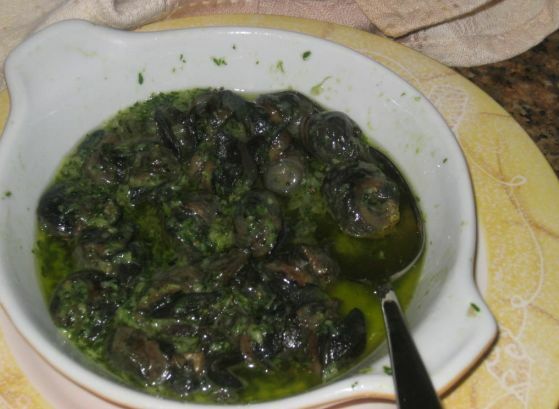 A serving portion is usually about 6 snails but depending on your appetite you can double the portion to 12 snails. 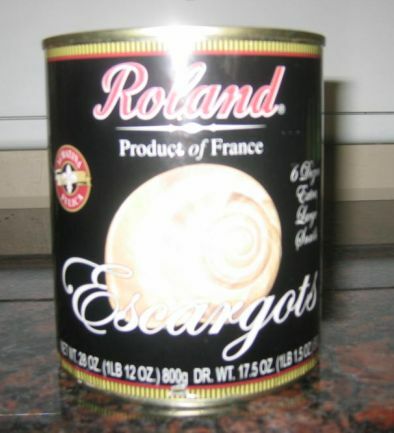 This the canned Escargots I used for this dish. It is available at Smart and Final and sometimes at Cost Plus. 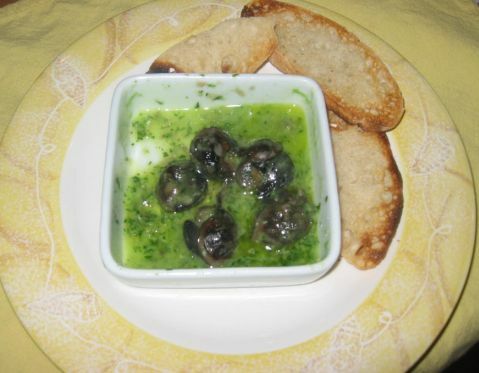 There are 72 Escargot per can so I only serve this dish only when I am having a lot of people over. 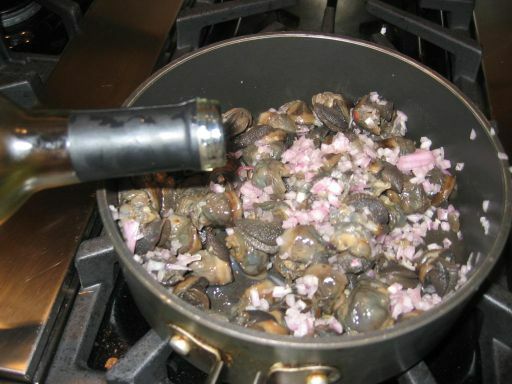 Escargots, chopped shallots and white wine are added to pot. Once the mixture is boiling, I reduce the heat to medium high until all the wine has completely evaporated. 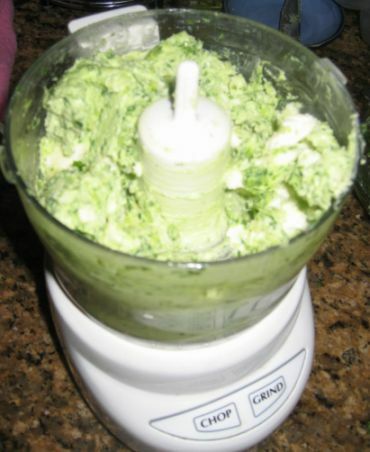 Next, butter, parsley, garlic, salt and pepper are mixed together to form an homogenous paste. 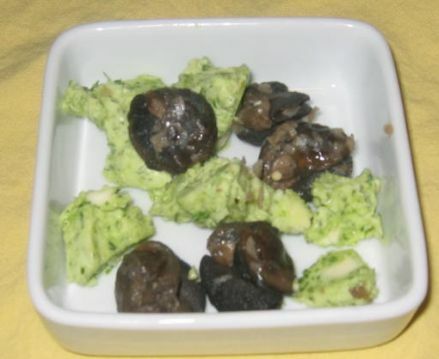 The cooked escargots are put on a small dish and the mixed butter is added. The whole dish will go in the oven for 5/10 minutes until the butter is hot and bubbling.